Are you aware of Avocado Mattresses? If not, anyone shopping for a healthier way to sleep will want to learn more about this company. One of the latest in the growing field of shippable and "on demand" mattresses, it stands apart for many reasons. In this Avocado Mattress review, we'll first look a bit at the world of mail order mattresses and discover why they are so popular. Then, we'll consider the reasons that Avocado Mattresses really stand apart from this growing crowd of options. 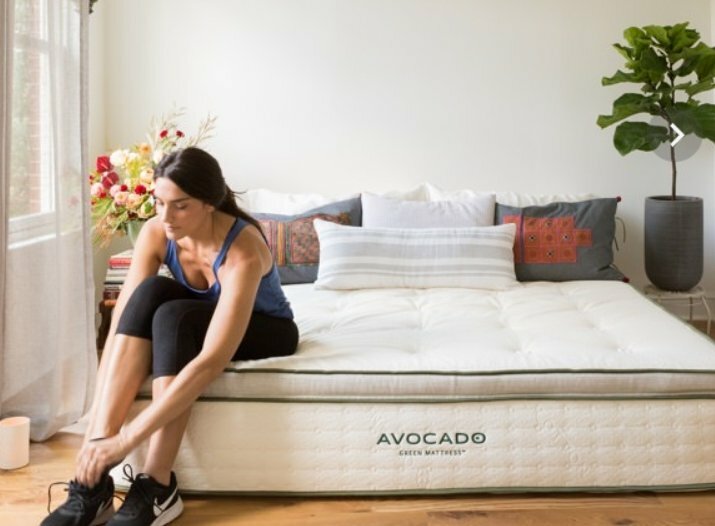 The Avocado Mattress is Wrong for you if..
A mattress in a box used to mean little more than a foam pad that absolutely required a box spring and bed frame to make it useable. Today, though, there are scores of companies making mattresses that can be compressed into a manageably sized box and shipped to your home. Once it arrives, you or the delivery service can tote it to any room in the house and stand on its own as a workable sleeping surface. Are they all of these things? The answer has to be both yes and no. This is because not all of these mattresses offer such a list of appealing benefits. One that does, is Avocado Mattresses. Those bullet points say a lot, but let's take some time to look at a few of them in a bit more detail. 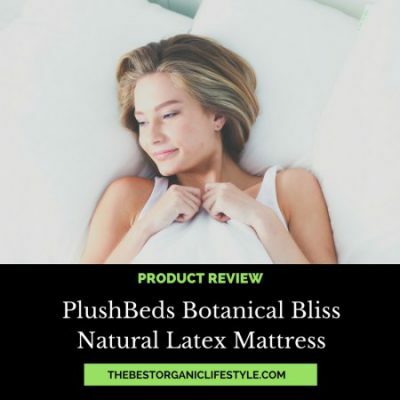 This is because it is going to help you better understand just why it is such a good idea to turn to authentically organic, handmade and deliverable bedding such as Avocado Mattresses. When you think about an organic food, it means you are getting no pesticides, herbicides, GMOs or toxins. But, you also have to realize that it means that the food you are buying is doing very little harm to the environment. The same thing can be said about organic and natural mattresses. Firstly, you spend hours in your bed every day, and that bed remains in that bedroom at all times. 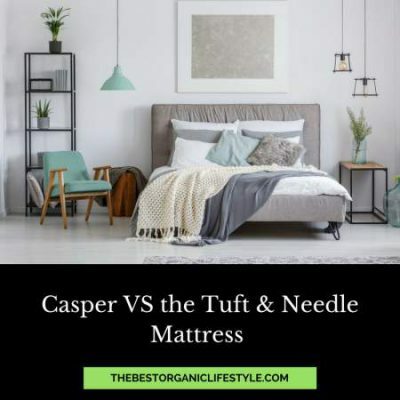 If that bed lets off all kinds of toxins including "off gassing" certain compounds or passing them to you via contact, it can lead to a long list of health problems. Most commercial bedding is treated with any number of compounds that can include formaldehyde and worse, and as you rest on them you inhale them and absorb them. Even as they sit in the room, they release gasses, reducing air quality and creating health risks. Many commercial mattresses also feature petroleum based foam, chemical adhesives and flame retardants that can cause harm, as well. 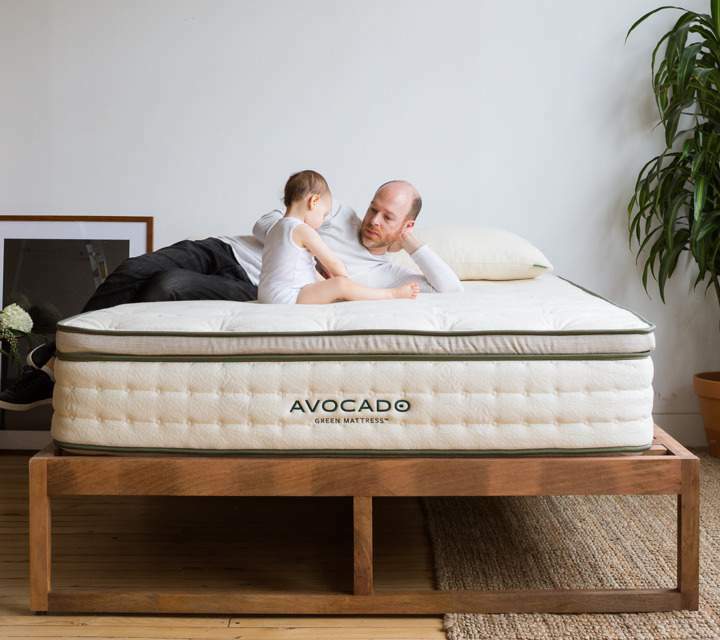 The reason that the Avocado Mattresses stand so far apart from the rest of the crowd is that they are made with only three things - organically grown cotton, all natural wool and sustainably produced latex. Cotton is one of the worst crops for the environment, and when you opt for an organic source, you are supporting moves towards a much healthier industry. However, it is also much healthier for you as it wicks away moisture and provides you with a much cooler sleeping area. The natural wool used in Avocado Mattresses replaces unhealthy polyester and is also ideal for creating an optimal sleep experience while eliminating environmental harms. Lastly, the latex used in Avocado mattresses replaces unhealthy polyurethane materials. 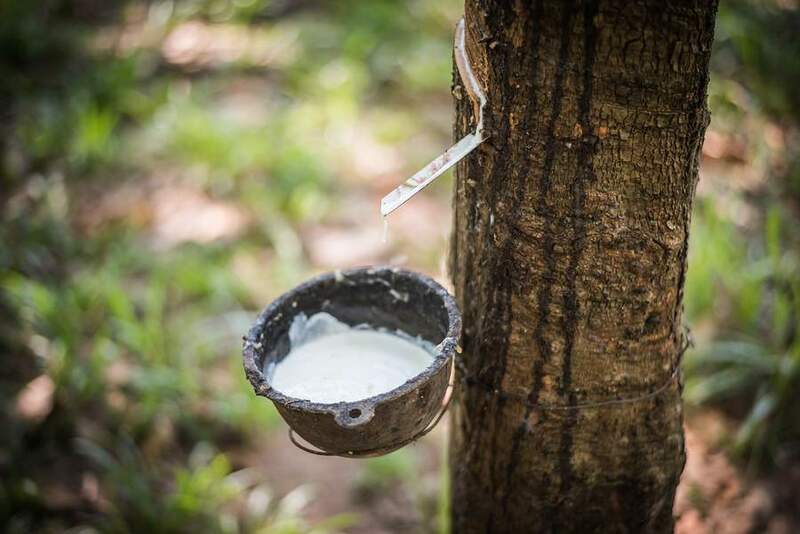 It comes from Asia and is produced in sustainable farms that are eco-INSTITUTE certified. This Avocado Mattress review could not be complete without a few words about comfort and support. All Avocado Mattresses have been designed with a patented Quantum Edge Elite CombiZone that uses more than 1400 inner springs to create an amazing amount of support on common pressure points. 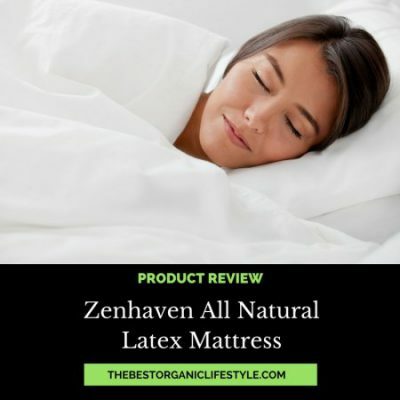 This innovative design coupled with the natural materials that keep you warm where and when you want and cool where and when you need it, ensure your sleep just gets better and better. Of course, one last point to ensure you understand why we are so favorably reviewing the Avocado Mattresses is this: They come with a 25 year warranty! Most mattresses are designed to last 10 years and then head to a landfill. Avocado Mattresses defy industry standards and supply that amazingly long, 25 year promise of quality and value. And when it is done, the entire mattress is recyclable. First layer is 0.5 ounces per square foot of 100% natural Joma® New Zealand Wool. A naturally breathable layer that is meant to transfer heat and regulate a proper sleeping temperature. Prevents moisture build-up and acts as a natural fire-barrier. Second layer offers 2 seamless layers of 100% natural Dunlop latex. Offers consistent, stable support. Comes from natural sources and is free of toxic chemicals. 2 inches of medium latex in the comfort layers, plus 1 inch of medium firm in the bottom core. Third layer consists of an 8 inch innerspring unit. There are between 756 (Twin) to 1,414 (King) fabric-encased innersprings. These springs are arranged in 3 strategic zones with a reinforced perimeter. This mattress offers firm edge support and benefits those in need of pressure-point relief. These coils float independently, so they provide improved airflow, motion transfer reduction, support and spinal alignment. The forth layer consists of 1 inch of very firm Dunlop latex. Provides an added level of support. First layer is 1 ounce per square foot of 100% natural Joma® New Zealand Wool. A naturally breathable layer that is meant to transfer heat and regulate a proper sleeping temperature. Prevents moisture build-up and acts as a natural fire-barrier. Second layer offers 3 seamless layers of 100% natural Dunlop latex. Offers consistent, stable support. Comes from natural sources and is free of toxic chemicals. 2 inches of soft latex, plus 2 inches of medium latex in the comfort layers, plus 1 inch of medium firm in the bottom core. button-tufted by hand with wool yarn rosettes to hold all the layers in place. Hydrated Silica acts as an effective and natural fire barrier. It is applied to both sides of the Avocado Green mattresses and complements the flame retardancy of the wool. The Avocado mattress works for all kinds of sleepers. The bed is firm enough for proper back alignment in all positions. The pocketed coils offer various support zones. This mattress is also soft enough that you won't feel uncomfortable pressure if you are a stomach, side, or back sleeper. The standard version of the mattress is recommended for stomach and back sleepers. The pillow-top version is recommended for side-sleepers. The replacement charge the purchaser pays will increase by 5% for each subsequent year of the prorated period. The Avocado Green Mattress comes with a 100 night sleep trial. You can use the bed for 100 nights, and if you find you don't like it, you can return it for a full refund, with no restocking fee. You want a mattress that will last a long time. With it's 25 year warranty and durable construction, this mattress is sure to give you your money's worth. You like resilience/bounce. This mattress has very good bounce, while still doing a good job of isolating motion transfer. You like the feel of foam but don't want to sink into it. Because of the resilience of the mattress, you don't feel like you are sinking into it, like with pure-foam beds. You want natural materials. This bed is truly non-toxic, so you can rest easy knowing you aren't compromising your health. You don't want to overheat. This mattress is super breathable so you will stay cool all night long. You want to sink into your mattress. If you like the feeling of sinking into a memory foam mattress, this is not the mattress for you. You don't like bounce. This bed offers good bounce, if you are someone who doesn't like that, there are better options out there for you. You are a lightweight side-sleeper. This mattress may feel too firm for you. 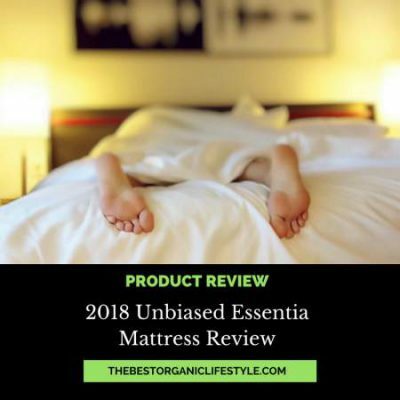 With free in-home trial and pickup if you dislike the sleeping experience, and the long list of benefits we just reviewed, there is no reason to wait on a test ride of an Avocado Mattress as it is one of the greenest, finest and most comfortable options on the market. If you have any questions, please leave them in the comments below, we always answer! in my life, I have sold thousands of mattresses all around the world. Your AVOCADO GREEN Mattress looks and sounds very impressive to say the least. As an expert on having a good nights sleep, the mattress is underestimated by most people, who buy a new mattress. It is a vital part of getting a good nights sleep. I love the Avocado green mattress, alone the fact that it uses certified organic and non toxic materials should be reason enough for people to try it. I will definitely recommend this to all my friends. Thank you! She is extremely adamant about wanting to go green in everything she buys and about keeping any chemicals out of her house as much as possible. I’m so glad that I found your site because this mattress looks like it would fit the bill with what she’s looking for and not break the bank. Thanks! I do recall back when I was little, mattresses were complicated things that can barely fit a normal doorway. Nowadays, technology has become so advanced, you can order a compressed mattress that can reach you any time. Of course, that is not the reason why Avocado stands out to me. I have a baby daughter and I am always wary of what she actually sleeps on. Many manufacturers make their mattresses out of toxic materials that can be harmful to the environment, and to my baby. This contributes a lot to sudden infant death syndrome which is pretty bad. It would be the best if people buy a mattress like the avocado because they are so environmentally conscious. The cotton issue exists everywhere so there’s not much we can do about that. However, at least they take out crude oil products. You are right Win, we need to be conscious of what we are sleeping on!